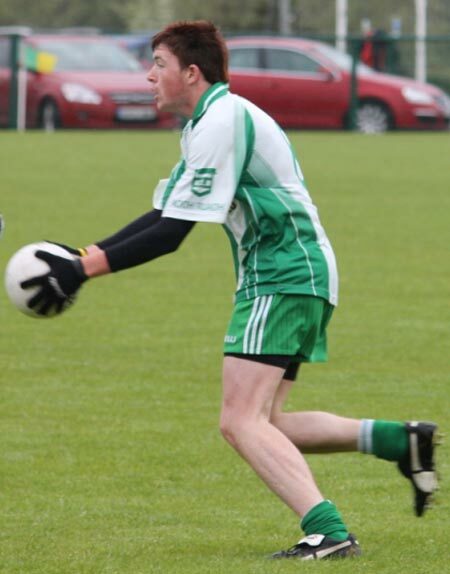 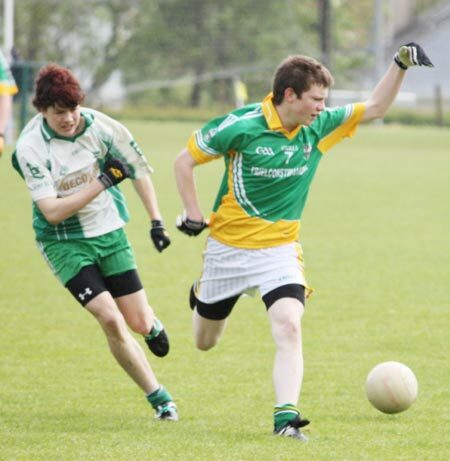 A superior second half from Buncrana saw them book their place in the county league semi-final at the expense of Aodh Ruadh on a score line of 2-7 to 0-8 last Sunday. 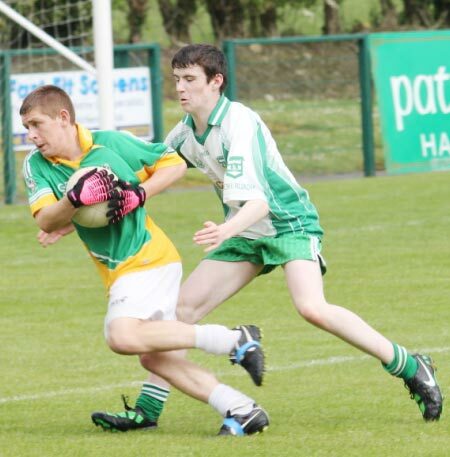 It was a cagey affair in the first half, with Ballyshannon going in leading by a point at the break. 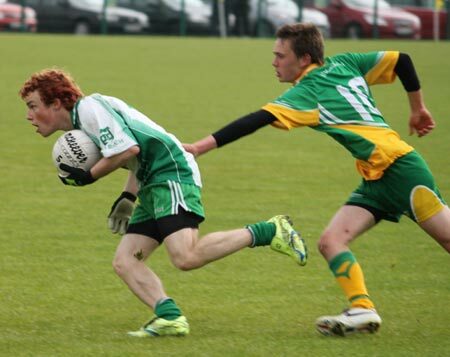 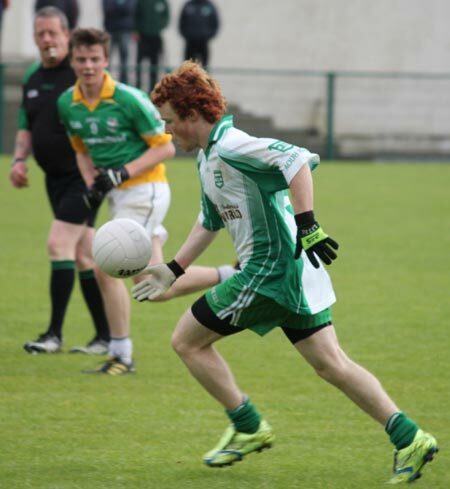 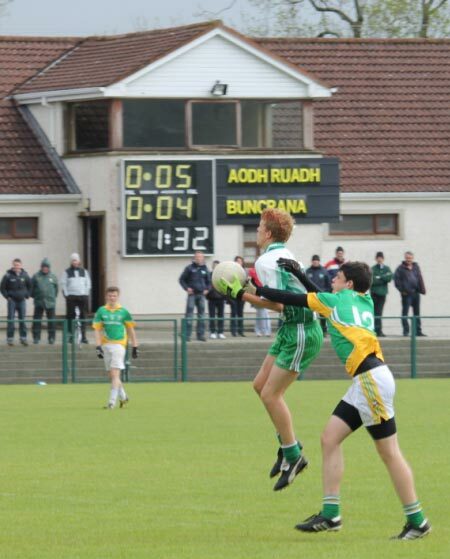 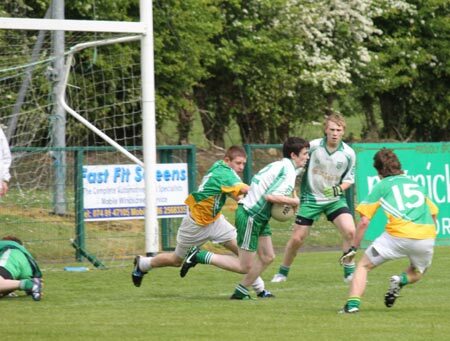 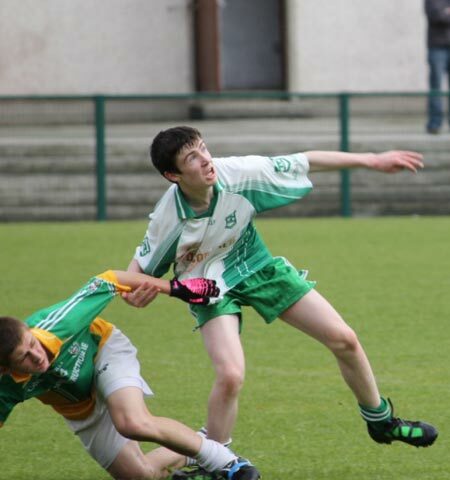 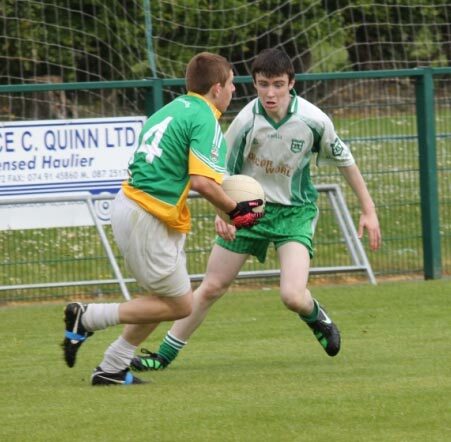 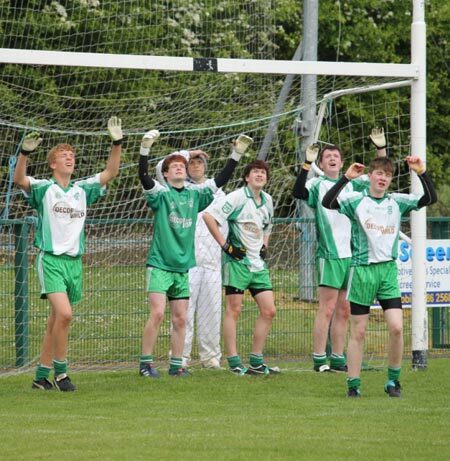 In the second half Buncrana hit a couple of goals and Aodh Ruadh struggled to find a response. 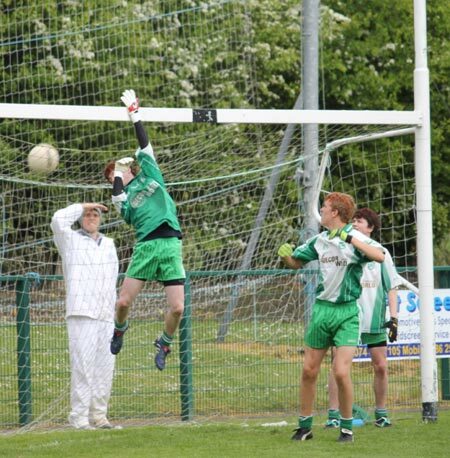 Best for Aodh Ruadh were Goal-keeper Daniel Kelly was superb again, saving two certain goal in each half to keep Aodh Ruadh in the tie; Matthew Maguire, who neutralised his man well and played flawlessly and bravely, sustaining a bang on the head near the end; Colm Kelly who swept up a lot of ball and linked up well with Eamon McGrath in midfield; and James Kelly who showed real bottle and fought to the very end. 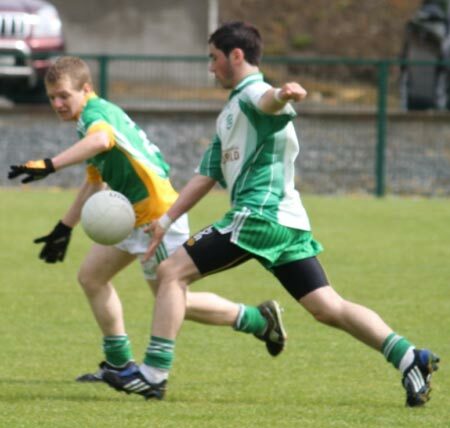 Michael McNeely and David McGurrin also acquitted themselves well up front. 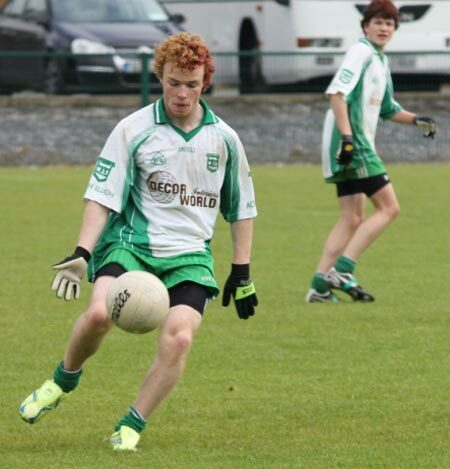 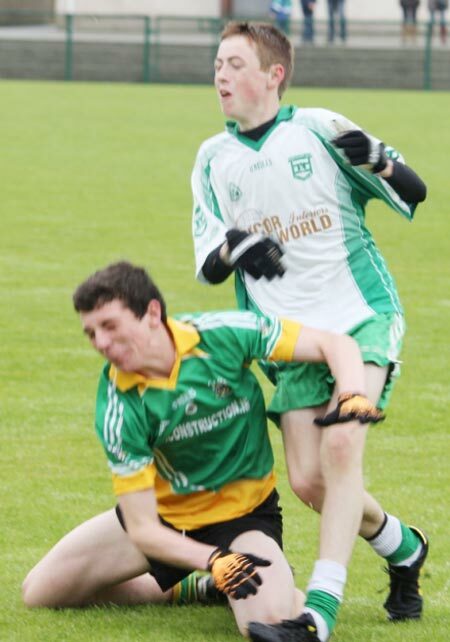 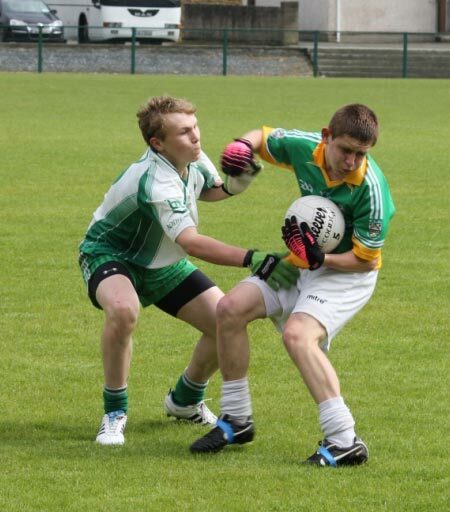 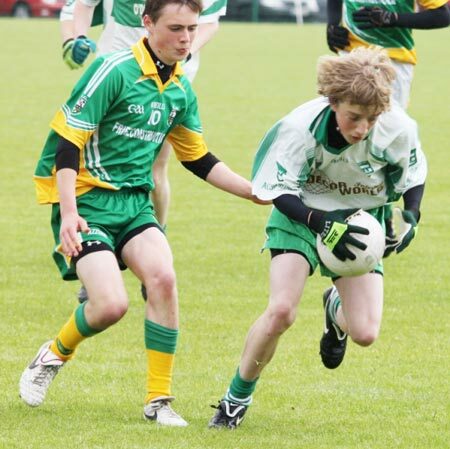 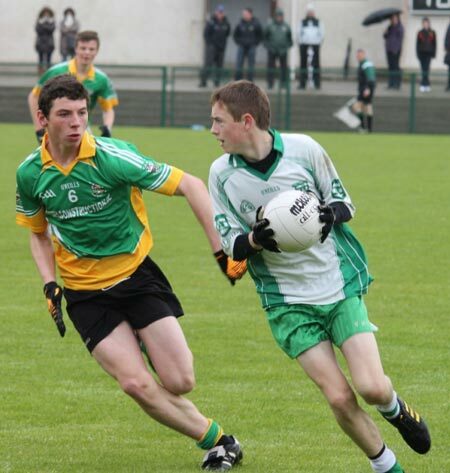 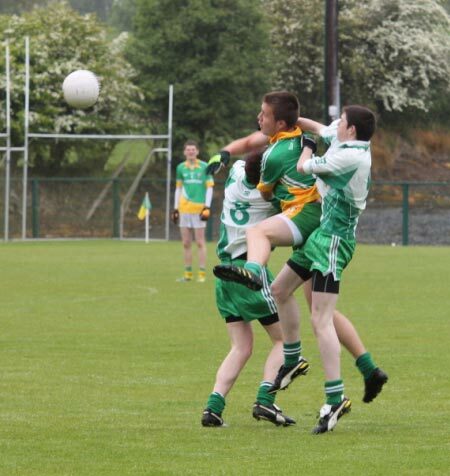 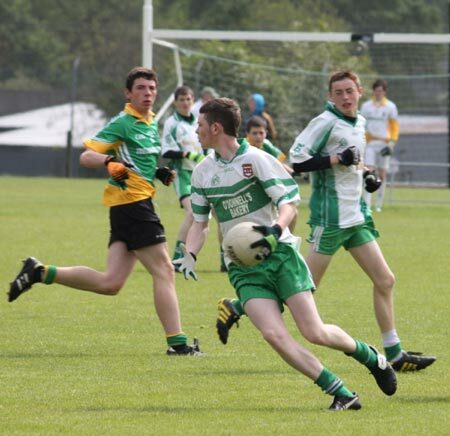 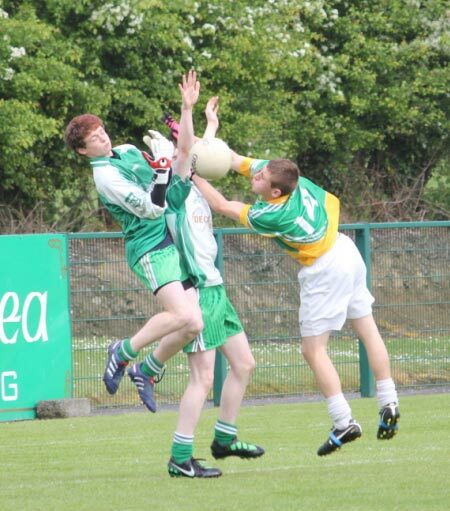 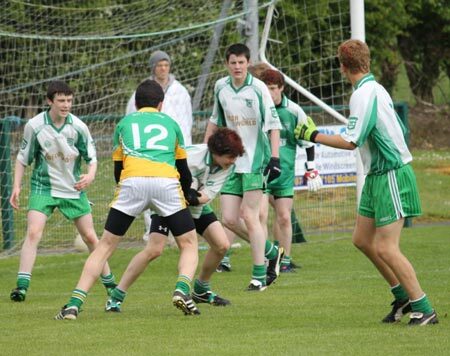 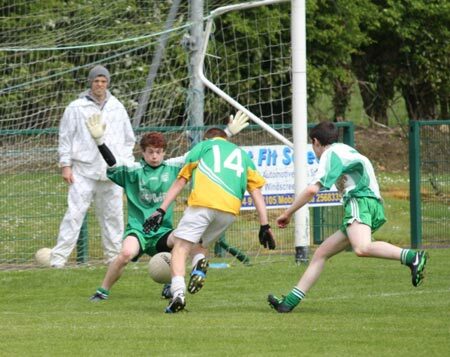 Cathal Maguire took some shots of the game. 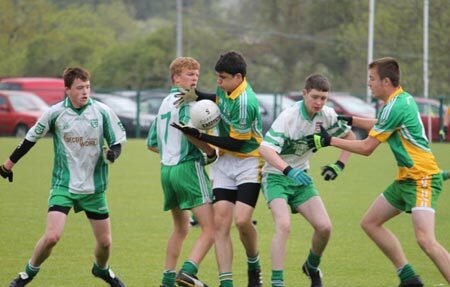 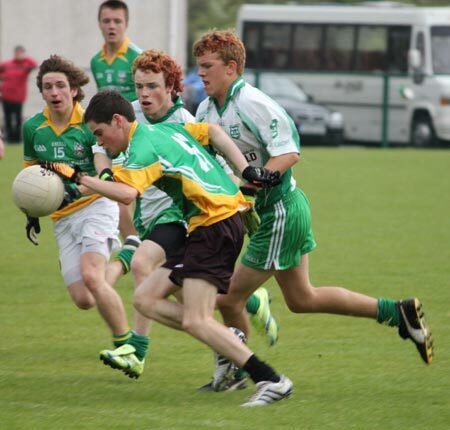 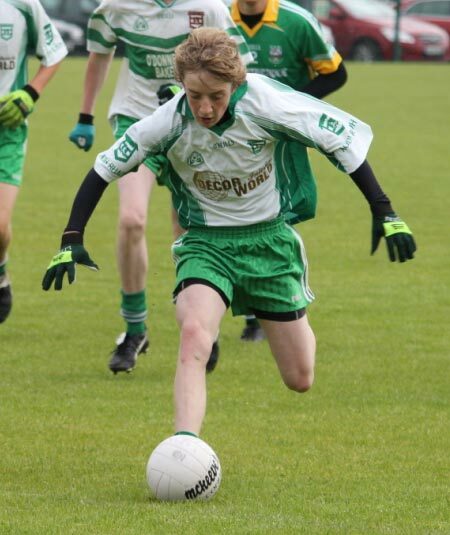 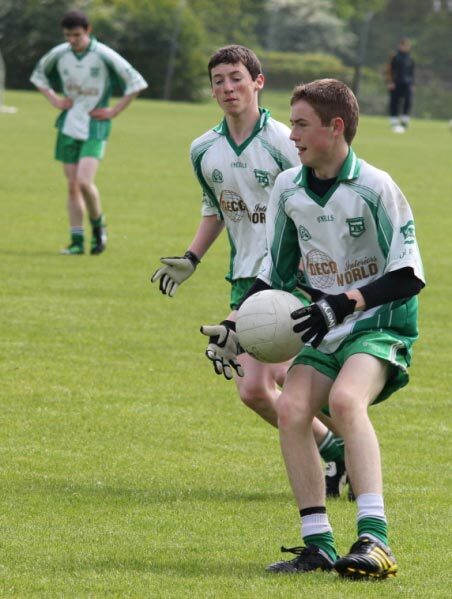 The next action for Aodh Ruadh's under 16s comes in the championship when they face Four Masters in Tir Chonaill park in the first round, first leg on Monday, 27th June.